This summer release is supposed to take some spiritual inspiration from Meatballs - the classic camp-is-awful-and-full-of-pervs Bill Murray movie from the early eighties. 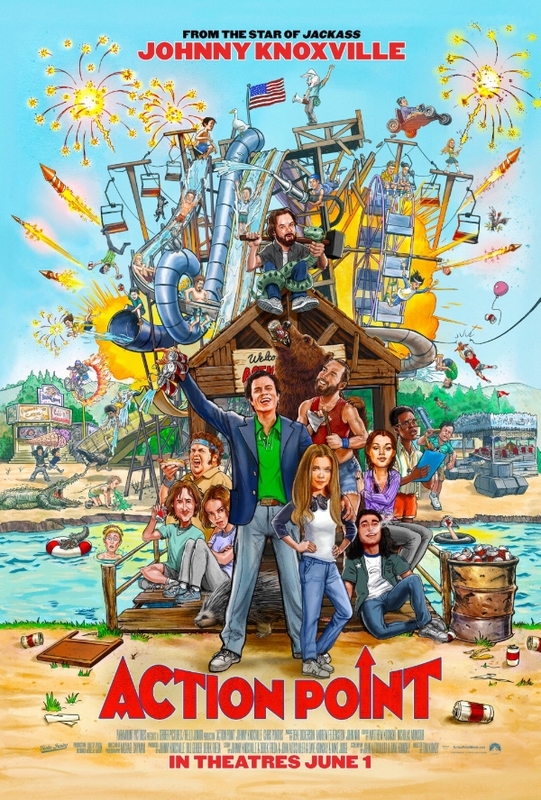 There won't likely be anything in Action Point to rival weenie war, but you will see Johnny Knoxville sacrifice his body, not in the name of science, but pop culture. Before being the ringleader of the Jackass crew, Knoxville had himself shot just like performance artist Chris Burden. But where Burden made art, Knoxville signed with MTV and got famous doing stupid human tricks for the world.